With this typical Ladin greeting we welcome you to our new “DOROTHEA” apartments, situated in the center of Selva Val Gardena, in the hearth of the Dolomites (World Heritage). It’s an ideal point of departure during summer time, to explore the excursion paradise of Val Gardena. And also during winter time, when it represents the main gateway to the Sella Ronda and the best ski slopes of the famous Dolomiti-Superski area. 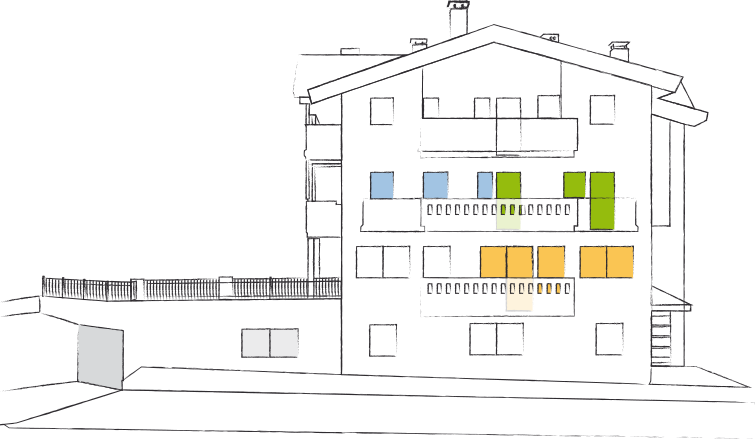 Newly built during summer 2012, our house is a “Class B Climate House”: Climate house means to have energy efficient building with a controlled aeration system, creating a fresh, clean atmosphere of well-being.